All Preschool teachers at Shawnigan Lake Montessori Preschool and Childcare are registered through the province and hold current first aid tickets, have passed criminal record checks and have experience working with young children. We believe strongly in employing teachers who listen and engage your child to encourage the best possible learning experience in their early learning years. Nicky Constantine-Macdonald, Mont Dip (St. Nicholas Montessori Centre, London), ECE Dip. I first became interested in Montessori education when I was 21. I was working as a substitute teacher in a Montessori Preschool in Victoria during 6 months of traveling around Canada, prior to my decision to immigrate to Canada. Several years later, while helping my husband to build a house on Pender Island our daughter attended a small Montessori preschool and I was inspired by her wonderful Montessori teacher to go on and take the Montessori teacher training at St Nicholas Montessori Centre in London when we returned to live in Britain.I then taught in Montessori schools in England and Scotland for 9 years, 4 years of which was as Head Teacher of a small rural School in the Scottish Glens. On our return to Canada in 2003 I was fortunate to find a Montessori school that was a good fit for both my daughter and myself. I taught for 4 years at West-Mont Montessori School in Metchosin in their pre-school/kindergarten class. I then became the instructor of the West-Mont Montessori Teacher Training program in 2009 and started working part-time as Head Teacher at Shawnigan Lake Montessori. I left to begin my own Montessori program, Cedar Montessori, but was excited to return to join Keith Bennett when he took over the school in 2015. I really do have the very best of job combinations; spending my days in a beautiful Montessori environment, supporting children in their love of learning and also spending time sharing my passion for Montessori education with future Montessori teachers! I was born and raised in Prince Rupert. My family lineage is comprised of teachers: my mother had a degree in bio-chemistry; my father was a vice principal in Prince Rupert; my grandmother taught in Port Alberni in the 1920’s. My formal education originated in music and culminated with a music diploma and grade 10 Royal Conservatory. I continue to pursue my passion for music at the piano. It was my background in small business that led me to join Four Seasons in the capacity of ‘retooling’ the administration. 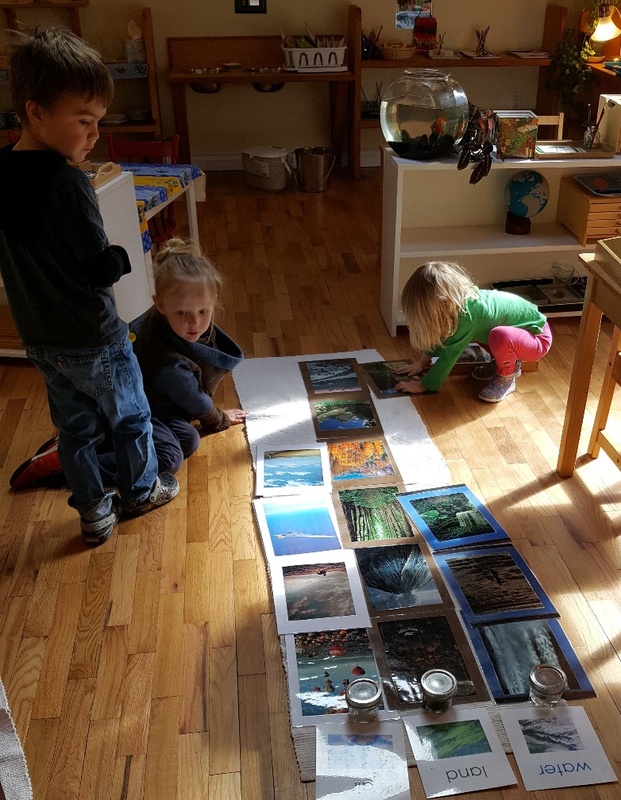 I soon fell in love with the Montessori method and purchased Four Seasons Montessori school in September 2010 and Shawnigan Lake Montessori in September 2015. My dedication to Montessori as an educational model is reflected by my work with the Vancouver Island Montessori Association and professional development in Early Childhood Education. I was born and raised in Calgary, AB. When I was 14 my family moved further north to Slave Lake AB for work. I stayed in Slave Lake for many years after that, even when the rest of my family decided to move back to Calgary. Shortly after graduating high school, I wasn’t sure what career I had wanted to pursue so I decided to just get a full time job and explore some different options. One day, I noticed the Slave Lake daycare was hiring, and having taken care of my younger sister on summers off for so many years and thinking about my enjoyment of looking after her, I decided I was going to hand in a resume to the daycare center. A few months later, I got hired and it changed my life. I realized my purpose in life was to work with children and families. I never felt happier, except, I could not shake the feeling that traditional ‘childcare’ didn’t feel quite right, there had to be a better environment for children to thrive in. I began taking my ECE through Grande Prairie Regional Collage, but shortly later made a decision to move back to Calgary to be closer with my family. Upon moving to Calgary, I got hired at Inverliegh Montessori School and Childcare. They had both a traditional play based program and a Montessori program, having never understood fully what Montessori was, I got hired for the play based program. In 2014, an opportunity came around and I was offered a position in the Montessori classroom and training if I wanted to take the position. Having spent a bit of time in the classroom, covering other staff if they were sick, I jumped at the opportunity. I fell in love with the ideas of peace education and Montessori’s ideas that included independence within the child. I loved that children were able to use real things in the classroom, like glass plates and bowls, etc. After I completed my Montessori training through NAMC and my ECE through Grande Prairie Regional Collage, I felt a calling to Vancouver Island. My boyfriend and I were tired of the city life and longed for a better lifestyle. We made the decision to move in July 2017. It was a big move but I am so glad I made it. Things fell into place very quickly for me and only two days after moving here, I met Nicky and knew almost immediately that this was where I was meant to be. I am thrilled to be part of the Shawnigan Lake Montessori team and am looking forward to spending many years in the Arbutus classroom while learning more about Montessori along the way. Beth is a certified Montessori teacher and ECE assistant currently completing her ECE licence. well as using the Montessori philosophy in the home from birth. and Montessori for Social Justice. She is also the owner of Our Montessori Life a resource for homes and schools in search of implementing or strengthening their use of the Montessori pedagogy. It is observing the calm and purposeful work of the young child that drives Beth’s passion. I come from France, arrived in August 2017 with husband and 2 children. We moved to Canada todiscover another way of life and also to teach our children that life can be different somewhere else, not better, not worst, just different. We love the place we are now, in Nature and in the Warmland! continue my permanent English training.